The 3/4 in. x 3/4 in. Maple Quarter Round Moulding can be used to give the appearance of an ornate moulding detail if used to cover a recessed connection area. This moulding offers a simple way to embellish existing structures for a decorative accent. 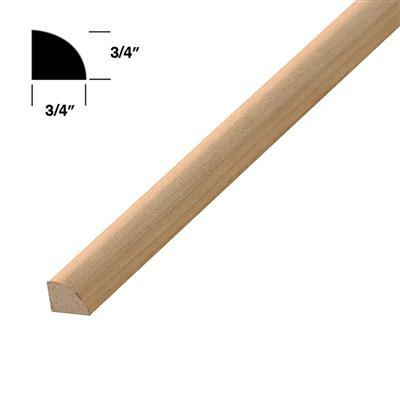 Quarter rounds are among the most popular mouldings for home projects and crafts. Their small size makes them easy to cut and install.